A cyber safety seminar is coming to Fort Hill Activity Center on April 18 to give teens and parents critical information to prevent and combat cyber bullying and sexting. Detective Richard Wistocki (Ret.) will present proactive strategies, expert insight and effective resources to empower students and their families to protect themselves against online threats to their emotional and physical well-being. Detective Wistocki recently retired from the Naperville Police Department to devote more time to educating parents about cyber bullying. Wistocki, a TEDx speaker, is nationally recognized as a high technology child crimes specialist and is passionate about sharing his experience and insights with teens and their parents. His presentation will run from 7:00-8:30 p.m. and is open to anyone age 13 and up. This seminar is part of the Fort Hill Wellness Series and is free to Fort Hill Fitness members and $5 for nonmembers. 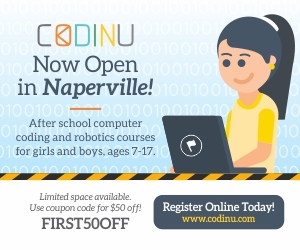 Each attendee must register through the Naperville Park District. Fitness members must register in person at Fort Hill Activity Center or call 630-995-8900. Nonmembers may register online at www.napervilleparks.org. Fort Hill Activity Center is located at 20 Fort Hill Drive in Naperville.